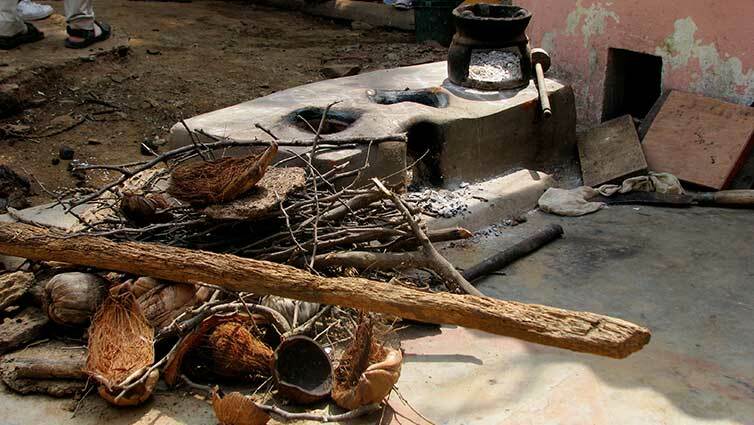 A traditional outdoor cookstove in rural Tamil Nadu, India. It’s no wonder that governments, nonprofits and businesses have tried for decades to get clean and efficient cookstoves into the homes of the poor. The trouble is, they’ve made very little headway for many reasons. Chief among them is the fact that designing a truly clean, efficient and user-friendly cookstove for a price poor people can afford is devilishly hard. Lately, though, there are signs of progress. A handful of cookstove companies have attracted support from investors in the U.S. The New York–based non-profit investment fund Acumen has in the last 15 months put money into two U.S.-based companies, Biolite and BURN; Green Energy Biofuels, a Nigerian company; and Greenway Grameen Infra, which focuses on India. Other funders have stepped up as well. In August, Deutsche Bank made the first loans from a US$4 million cookstove fund to Biolite and Envirofit, a Colorado-based company that is the industry’s sales leader. The Disruptive Innovation Fund, which is overseen by the best-selling author and innovation expert Clayton Christensen and his son, Matt, has invested in Biolite, while the U.S. government’s Overseas Private Investment Corporation has made loans to BURN and Envirofit. More important, cookstove companies are gaining traction with customers in the global south. Envirofit says it sold 43 percent more cookstoves during the first half of 2016 than during the same period in 2015. Meanwhile, it took BURN more than two years to sell its first 100,000 stoves, and less than half that time to sell the next 100,000, the company says. Biolite plans to ramp up production early next year when it introduces a new model, showing confidence about the future of the industry. Michael Tsan, a partner at Dalberg Global Development Advisors, which studied cookstoves for a World Bank report, says, “We’ve been grinding away at this problem for 40 years, but things are moving. I don’t think it’s hopeless.” Perhaps the biggest reason, he says, is that poor people are seeing that they can save money on fuels by buying a more efficient stove. Note the words we’ve chosen to describe cookstoves: cleaner, improved and efficient. One word we’ve tried to avoid: clean. That’s because no truly clean cookstove exists, except, perhaps for solar-powered stoves, which are impractical. These terms are unavoidably inexact, but cookstoves from Biotite, BURN and Envirofit — which we’ll call cleaner — are among the best on the market, delivering health, environmental and economic benefits. Local producers manufacture stoves that we’ll describe as improved or efficient; they don’t work as well but they appeal to customers because they are cheaper. This raises another uncomfortable fact: Cookstoves are at best an imperfect solution to the health, environmental and social problems they are designed to solve. In a more equitable world, poor people would cook the way the rich do, using fuel sources such as electricity or natural gas that don’t cause indoor air pollution. But billions in Africa, South Asia and Latin America don’t have access to electricity or natural gas, or can’t afford them. For now, cookstoves will have to do. That said, there’s no doubt that cleaner cookstoves, when used properly, deliver benefits. They can improve health by reducing emissions of particulates, which cause respiratory disease. They can curb carbon emissions (many have been subsidized by carbon credits). They can also create jobs and empower women, who traditionally gather the wood used in open fires, says the Global Alliance for Clean Cookstoves, a public-private partnership launched in 2010 by then–U.S. secretary of state Hillary Clinton. The problems with cookstoves are legion. The vast majority of stoves fail to meet strict World Health Organization standards that are set to protect human health. (Designing a stove that works effectively for fuels that vary in their moisture content or chemical composition is difficult.) The cleanest cookstoves cost US$50 or more, out of reach for the extreme poor, while cheap versions crack or break. What’s more, people who use cookstoves often continue to cook over open fires, a practice known as “stove stacking.” It’s hard to persuade people to abandon traditional methods of cooking that meet their dietary, cultural and economic needs. BURN has the potential to turn things around. Headquartered on Vashon Island, Washington, a 20-minute ferry ride from Seattle, BURN sells cookstoves that burn charcoal, mostly to customers in and around cities in Kenya. It employs about 135 people, manufactures stoves at a factory just outside Nairobi that opened in 2014 and sells about 10,000 per month. BURN says it has sold about 200,000 stoves since the plant’s opening and is on track to become profitable this year. The company plans to expand to West Africa next year. BURN’s signature stove, the Jikokoa, retails for about US$40, and is sold by supermarkets, small shops and trusted local partners in Africa, including M-Kopa Solar, one of the fastest growing East African pay-as-you-go solar companies. Financing is available through Equity Bank, one of East Africa’s biggest banks. The Jikokoa captures more than 90 percent of the improved cookstove market in Kenya, according to Acumen’s research. The stove itself wins plaudits from independent evaluators. Ashden, a British charity that supports sustainable energy, said last year: “The stove lights easily, cooks fast and — from independent tests — produces over 60% less health-damaging particulate matter and carbon monoxide than KCJ [Kenyan ceramic jiko, a locally-made competitor]. Charcoal use is cut by 45%, saving around US$200 per year, or five times the purchase price.” It’s these economic benefits that attract customers. “We sell it around the fuel savings,” Scott says. Environmentalists are concerned about the charcoal used, production of which leads to the degradation of forests. Still, demand for charcoal and fuelwood is expected to double or triple by 2050 in Africa. Better that the charcoal be burned efficiently, Scott says. No company has put more clean cookstoves into the world than Envirofit, which has been making stoves for household and institutional markets since 2003. The company reached its one-millionth clean cookstove customer in 2015 and sells stoves in 45 countries in Africa, Asia and Latin America. Based in Fort Collins, Colorado, Envirofit employs more than 450 people, most at manufacturing and assembly facilities in China, India, Nigeria, Kenya, Honduras and Mexico that have the capacity to produce 100,000 stoves per month. The company’s founders, Tim Bauer and Nathan Lorenz, were named Heroes of the Environment by Time magazine, and its CEO, Ron Bills, was named a social entrepreneur of the year by the Schwab Foundation in March 2016. Inside the cookstove sector, though, Envirofit has detractors. They grumble that the company has been propped up for years by the Shell Foundation, which made about US$15 million in grants to Envirofit beginning in 2007. Many of its stoves have been sold in bulk to governments and nonprofits, and supported by carbon credits, so they need not compete on price and value in the retail marketplace. About 450,000 Envirofit stoves in India and Africa have been supported by carbon credits, according to a May 2015 report from the Global Alliance for Clean Cookstoves. Whatever one thinks about carbon credits for cookstoves — and they are controversial — they distort the market by providing subsidies and cannot be relied upon as a long-term revenue source. Maybe that’s why Envirofit says it doesn’t depend on carbon revenues anymore. Envirofit’s distributors praise the stoves, however. Mercy Corps, a nonprofit aid organization based in Portland, Oregon, has given many woodstoves to customers in Myanmar and found the Envirofit stove to be “head and shoulders above the others,” says David Nicholson, the group’s director of environment, energy and climate change. Julius Ahiekpor, director of the nonprofit Centre for Energy, Environment and Sustainable Development in Ghana, is another satisfied distributor. “We sell mostly through word of mouth,” he says. Both the Myanmar and Ghana projects are supported by carbon credits and foundation grants. Meantime, Brooklyn, N.Y.–based Biolite has carved out its own niche with an unusual stove that generates electricity as well as heat for cooking. It’s sold to backpackers and campers in rich countries as well as to the global poor. “The recreation business is something we’re personally passionate about,” says Jonathan Cedar, Biolite’s co-founder. “But it’s fundamentally a tool to help us reliably and sustainably accomplish the big objective,” which is to deliver clean, affordable household energy to the poor. Biolite says its HomeStove, which burns wood, dung and crop residues, cuts fuel consumption by 50 percent and reduces particulate matter and carbon emissions by 90 percent. Both the HomeStove and Biolite’s CampStove, which is sold by retailers like REI and Lowe’s, incorporate technology that harvests heat from the fire to produce two watts of electric power, enough to charge a mobile phone or LED light — which is included with the stoves. “The electricity access has brought men into the decision making, and got husbands really excited about something that will benefit the wife,” Cedar says. Sales in poor countries have been modest, to date: About 15,000 HomeStoves, which sell for between US$50 and US$70, have been sold in India, Kenya and Uganda. Biolite is working to bring down the costs of its new model with support from a U.S. Department of Energy grant. Will all this lead to a thriving cleaner cookstove industry? 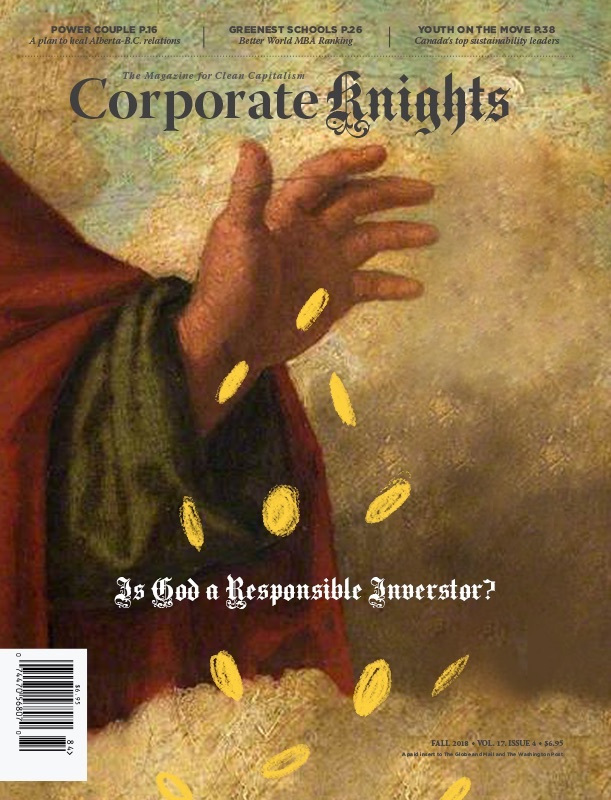 It’s hard to know because the privately held companies don’t share financial data. What’s more, most experts think that local manufacturers, who sell lower-quality stoves at lower prices, outsell the U.S.-based companies. “I can name 20 different entrepreneurs across Africa who sells 350 to 500 stoves a month, or more, and the numbers add up,” says Elisha Moore Delate, an independent consultant and cookstove expert based in Nairobi. These cheaper stoves may not deliver the health or environmental benefits of higher quality ones, but they do save poor people money, which is no small thing. More importantly, will cleaner efficient cookstoves improve the health of customers and state of the global environment? That’s also hard to know because reliable data on their real-life performance is scarce. But, again, even improved cookstoves are better for the health of the poor — and the planet — than cooking over open fires. Until people in the global south have better access to electricity or natural gas — the preferred options in the developed world — improved cookstoves will have to do.